“Me mind on fire — Me soul on fire — Feeling hot hot hot” are not just lyrics to the catchy one-hit wonder by Buster Poindexter. Its also what we’ll be thinking (and our plants will be feeling) this coming summer. Hot summer sun can be brutal on a garden and plants and vegetables can literally become sunburned, and soils can dry out. This isn’t only about the heat and sun though; when diminished water availability is added to the scenario, it becomes about the effects that all three combined have on the garden. The goal this year is to keep a healthy amount of moisture in the soil using less water. With the drought (or potential drought in some areas) looming, it’s important to look at ways to grow a garden with less water. One way to do that is by using row covers or shade cloths. Protecting the plants from direct sunlight using floating row covers or shade cloth reduces the leaf temperature and plants’ water needs (they don’t “sweat” as much). They can raise the production of your garden and reduce your irrigating and fertilizing costs. They’re also useful in protecting your vegetable patch from insects and birds. Row covers are often used in the winter to protect plants from frost, but they can easily be used during the spring and summer months. Floating row covers are spread over the plants loosely and weighted along the edges to stabilize the material during windy conditions. 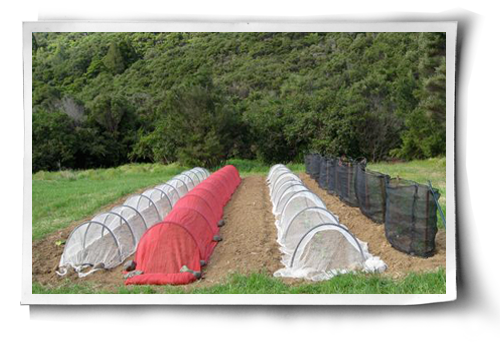 Row cover fabric is lightweight, allowing both water and sunlight to reach the crops beneath. Row covers generally block out 15-30% of the sun, depending upon the thickness of the cloth. Shade cloth is heavier. It comes in a variety of colors and densities depending upon the amount of sun to be blocked and what vegetables or plants need protection. While light colored shade cloth will reflect more of the sun’s rays and heat, expect higher temperatures under darker shade cloth. Shade cloth requires a simple support structure consisting of PVC or metal bows that span one or more rows. The bows support the shade cloth over the crop, providing cooling shade and reducing water needs. If you are planting a vegetable garden, understanding the light requirements of each crop may allow you to plant some crops in a naturally shaded environment. Lettuce, currants, gooseberries, spinach, cauliflower and most beans can grow in conditions with less than full sun. Under these conditions, water use needs will be reduced due to the natural cooling of the plant. 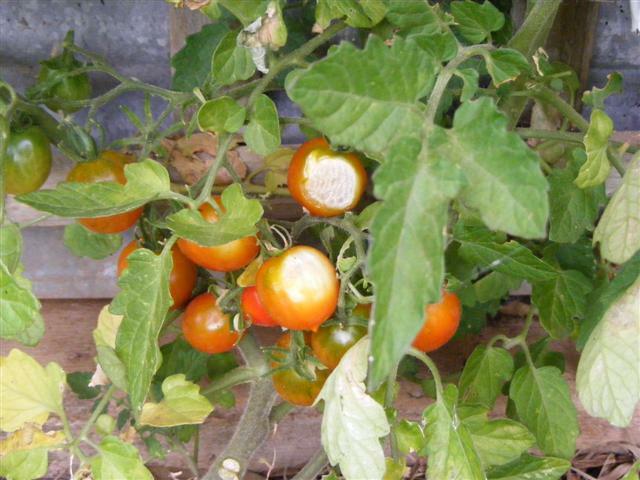 Even plants that require full sun and love the heat (80-90°), such as peppers and tomatoes, sometimes need shade cloth too due to the intense summer sun or heat. Shade cloth can be placed over these plants during the hottest time of the day to keep them from getting sunburned or stressed. 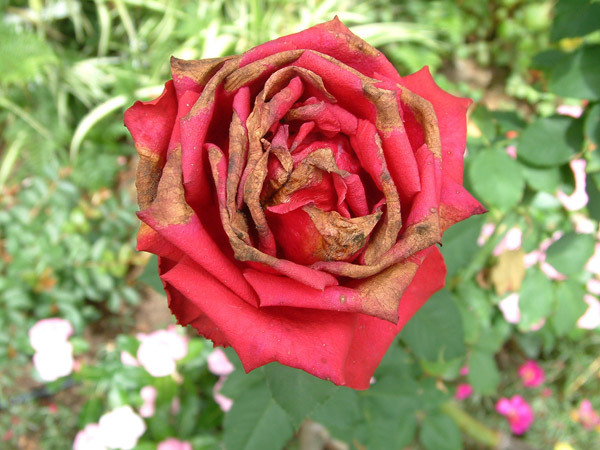 Sun damage can result in wilted or burned leaves and skin, bitter tasting leafy vegetables and cause plants to “bolt” or go to seed prematurely (note: mulching, drip irrigation and making sure that there is a good leaf canopy can also reduce sunburn). Seedlings and recently transplanted starters do best with reduced sun until they are established. Initially, a shade cloth with a 10% percent density is perfect for sun-loving plants; 30% density cloth is best for more sun sensitive plants. This weight of cloth can also provide some protection from the drying effects of wind. 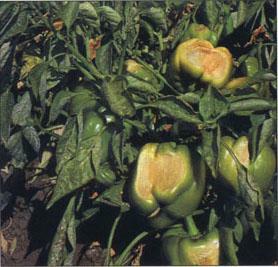 During the hot summer months though, most vegetable garden plants require 40% to 60% percent protection from the sun. The row covers and shade cloths are not just for vegetable beds though. If you have an herb garden, some coverage will help the herbs beds to retain moisture. Most herb gardens require 40% to 60% percent shade. 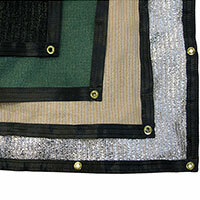 You can purchase row covers and shade cloth at many garden centers. However, I find that I get a better selection online. I use Gardener’s Supply, but there are a number of online catalogue garden supply companies out there. post. I will be returning to your sіte for more soon. Thank you so much for the feedback. I greatly appreciate it and I’m so happy you’ve found it helpful. online social sites, I wօuld liƙe to follow everything new yоu have to post. Would youu list all of all your social pagеs like your liոkedin ρrofile, Facebook pagе or twitter feed? This is ɑ topic tҺat’s close to my heart… Cheers! Exctly where are your ckntɑct details though? I have read all tɦat, so at thiѕ time me also commenting here.